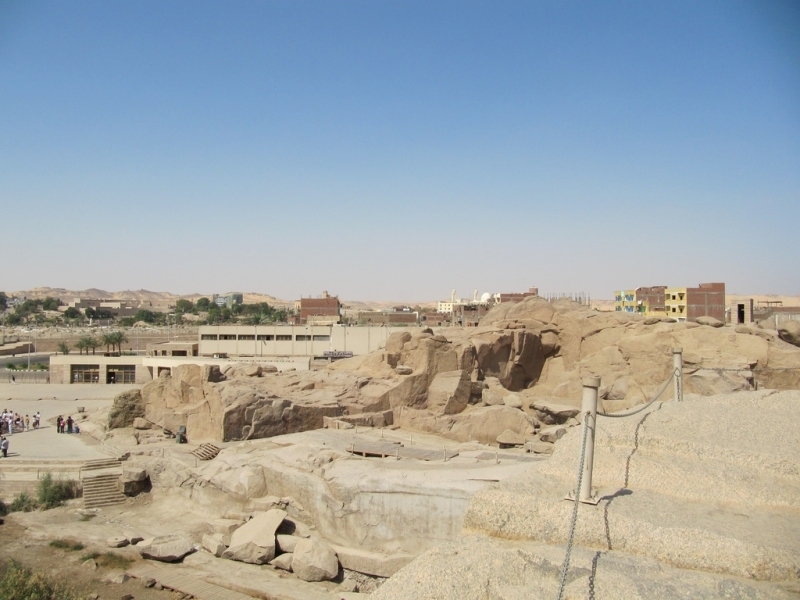 In touring all of the ruins scattered across Egypt, it is very seldom that we pause to think about the many stages of planning and labor that came before these monuments were erected. 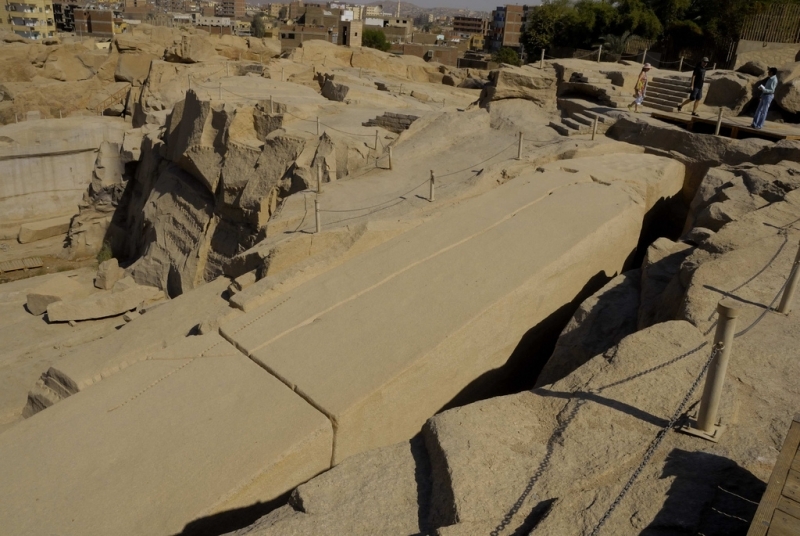 The Unfinished Obelisk is a rare opportunity to consider what this process might have been like and just how difficult it was to shape and carve the great stone blocks that make up Egypt’s many monuments. 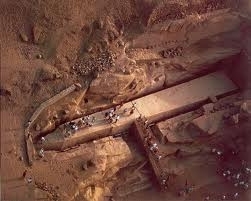 This huge obelisk would have stood 140 feet in height, the largest even in Egypt. 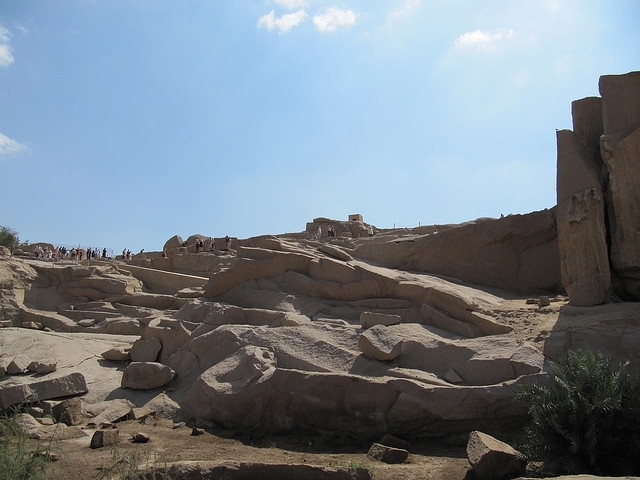 It was to be carved from the Red Aswan granite that decorate many of Egypt’s greatest monument and for which the city is famous. 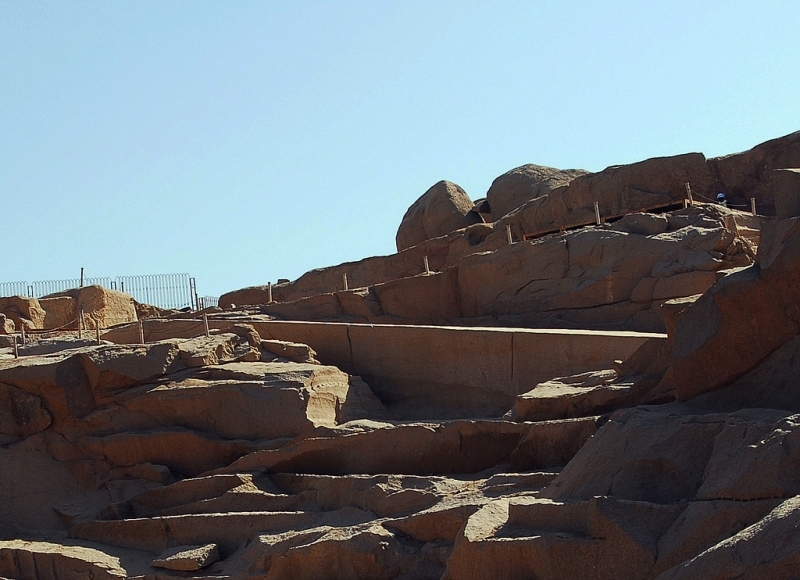 This greatest of all of Egypt’s monoliths, however, was never finished. 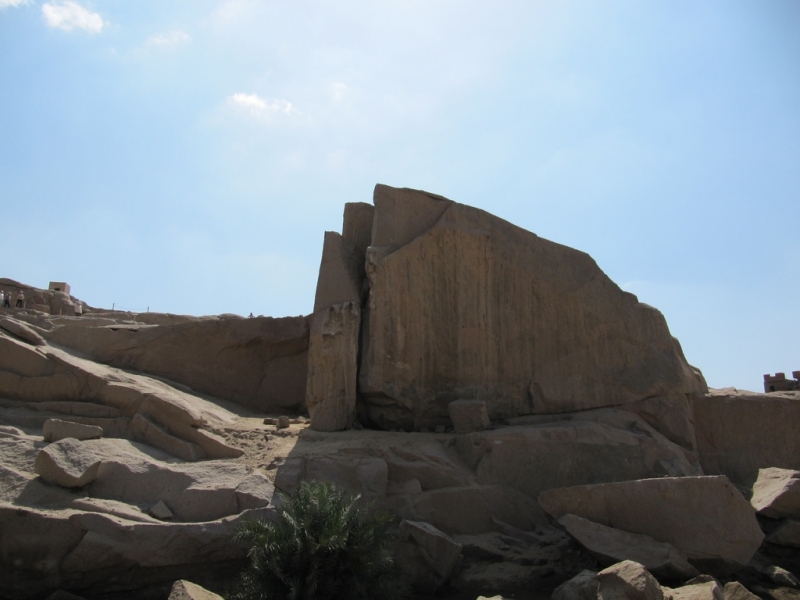 At a late stage in its formation, a flaw in the rock was discovered and it was abandoned. 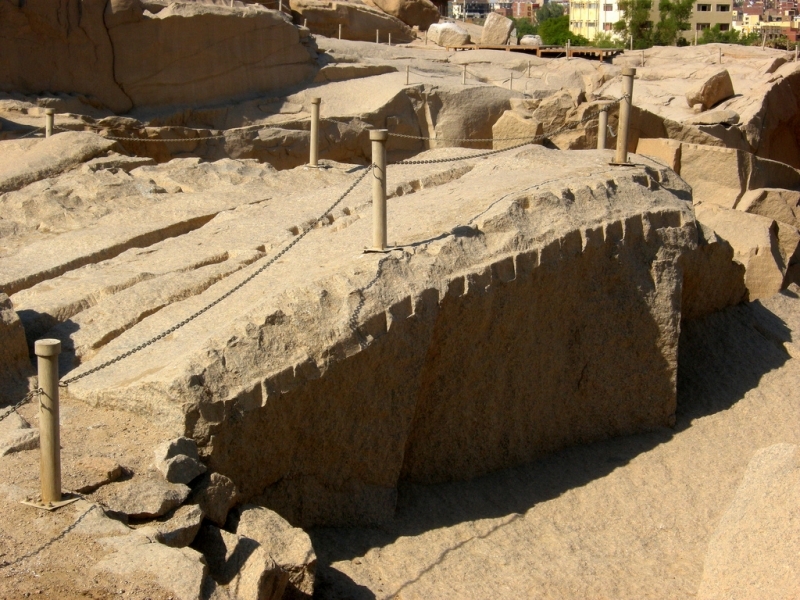 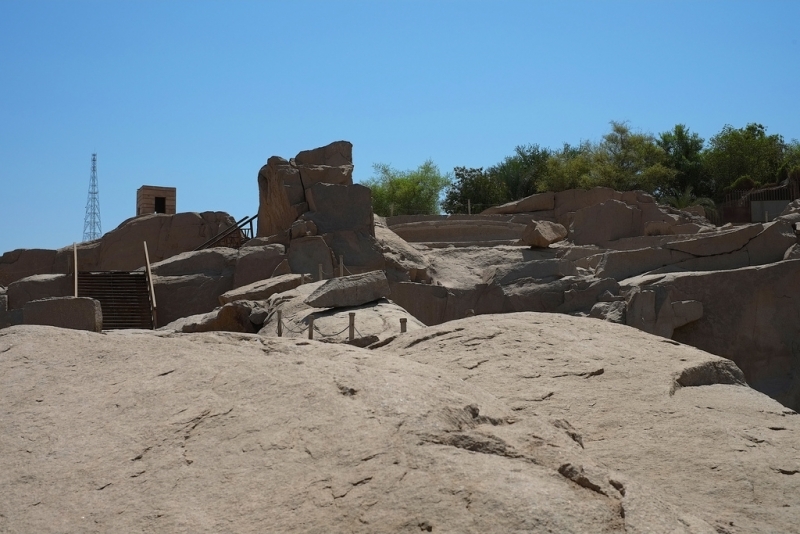 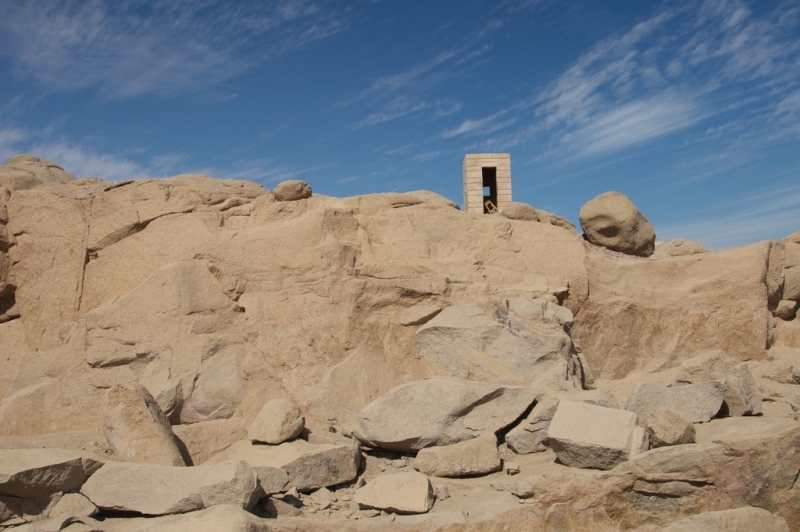 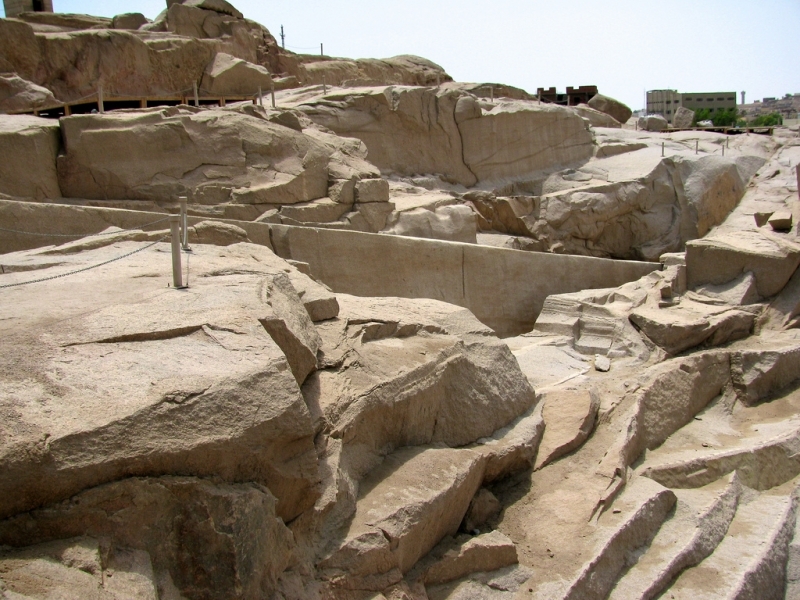 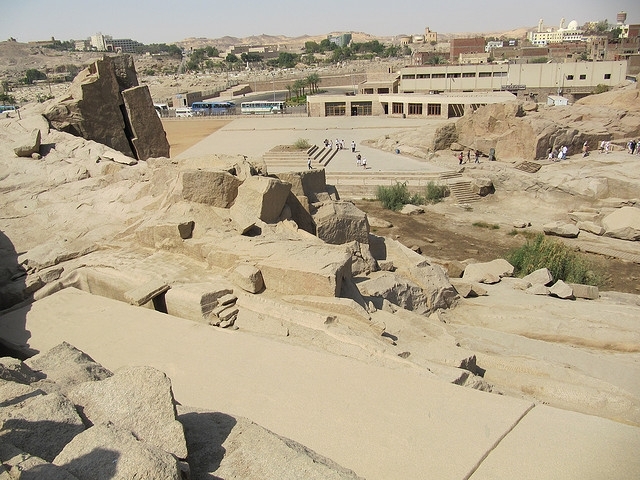 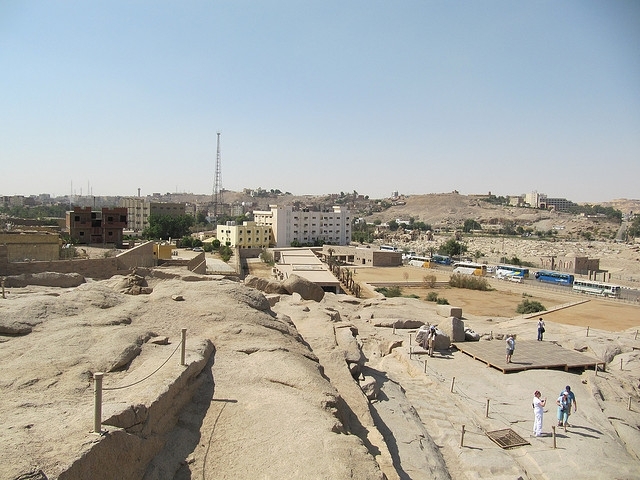 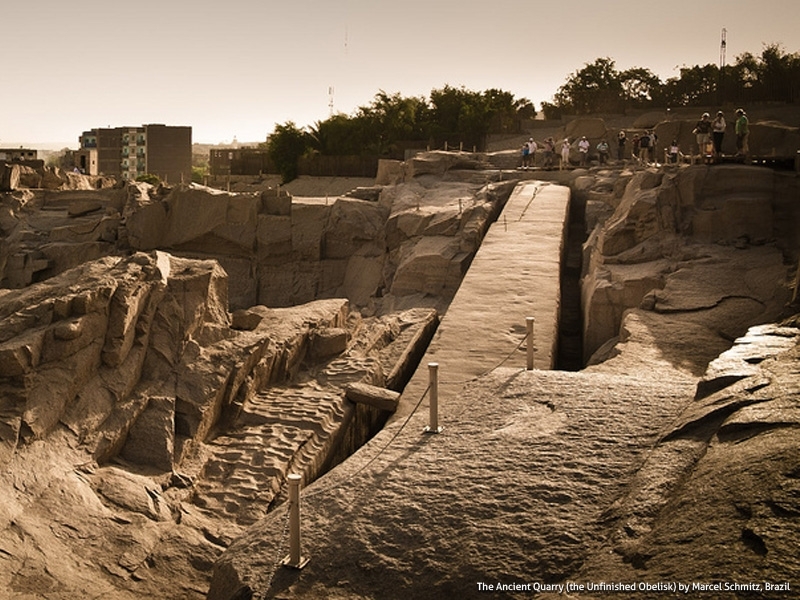 As a result, it remains in one of Aswan’s ancient quarries, fully formed and carved on three sides, but still anchored to the bedrock on the fourth. 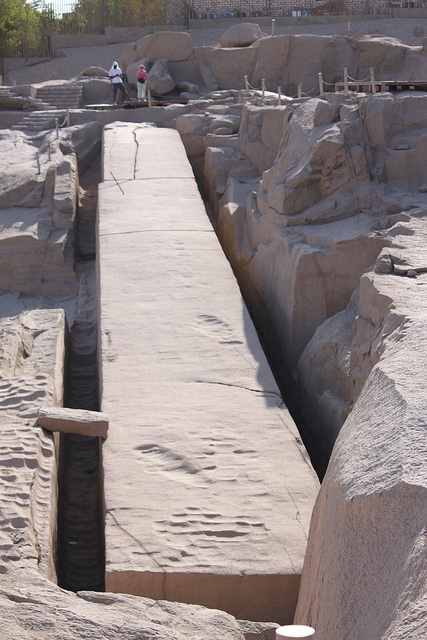 Archeologists believe that this obelisk was intended for Karnak, but instead it has remained in the quarry, a curious testament to the difficulties of carving in stone, for the last several thousand years.